New England used to seem to me to be some sort of romantic place that only really existed in lovely books about autumn leaves and coastal fishing villages. Turns out. It isn’t. And then again it is. I didn’t really know about Boston drivers or humid summers without air conditioners. But the lovely things I had imagined were all so much more lovely than I could have hoped. I would love to share with you a little taste of our wanderings here in my new series of Wicked Awesome Day Trips. Just four years ago, The Bearded Wonder and I packed up our family and crammed what little we had left of our worldly possessions into a u-haul trailer. In those days, we were so determined to get Jack to Boston before his pulmonary veins began to close again that we really didn’t feel remorse over leaving. As we drove away from all that was familiar, I said goodbye to California with a casual tip of my hat. My heart was so focused on saving Jack that I didn’t have room for anything else. It wasn’t until we moved into our apartment in Salem that the reality of loneliness started creeping in. The novelty of living in a strange new place and the necessity of survival for our little heart warrior still distracted me. Then winter hit. The snow was lovely as it encapsulated out little apartment. We looked out of the windows and marveled at how blessed we were to live in such a very pretty snow globe. Then the snow came again. And so many times again. We began to realize that we couldn’t take Jack out into this wintry wonderland because his oxygen tank was rated for temperatures above forty degrees. The isolation became palpable. We felt like little mice in a box, holed up for winter and so very lonely. As soon as spring came we found ourselves piling into the car and taking day trips. It had been too cold when we first arrived in Massachusetts to really explore New England. We were eager to see as much of our new home as we could. Some times the day trips were a complete nightmare. Jack was still vomiting often due to his heart disease and chemo therapy, making it very difficult to function outside of the home. But sometimes we got lucky and landed in some pretty magical places. One such time was the day we discovered how easy it is to travel from one state to another state in New England. Back home, a person could travel a whole day and still be in California. But this time we found ourselves passing from one state to another without even stopping for a bathroom break. This was how we accidentally arrived in New York. We drove on and on till we came to a little town called Hoosick. On the side of the road was the sign Dog Ear Book Barn. The Bearded Wonder dropped me off with $15 and a few minutes to poke about. I think I crossed the threshold into heaven. Books and books and school house lights and overstuffed armchairs. Mountains of books. It was like stepping into a story or a movie. It was too romantic to be real. I bought two books and payed the old man behind the heaping stacks of books on his desk. He didn’t even look up from his book as I handed him the cash. Several years later, I came back with friends. We three families and nine kids crammed ourselves into the aisles and especially into the children’s book area. We looked like scuba divers swimming through mounds of treasures. Jack and his little friend were busy knocking over stacks of books in pursuit of the resident book store cat. I love that store and I love my friends. Having them there with me was like trapping butterflies into a music box. 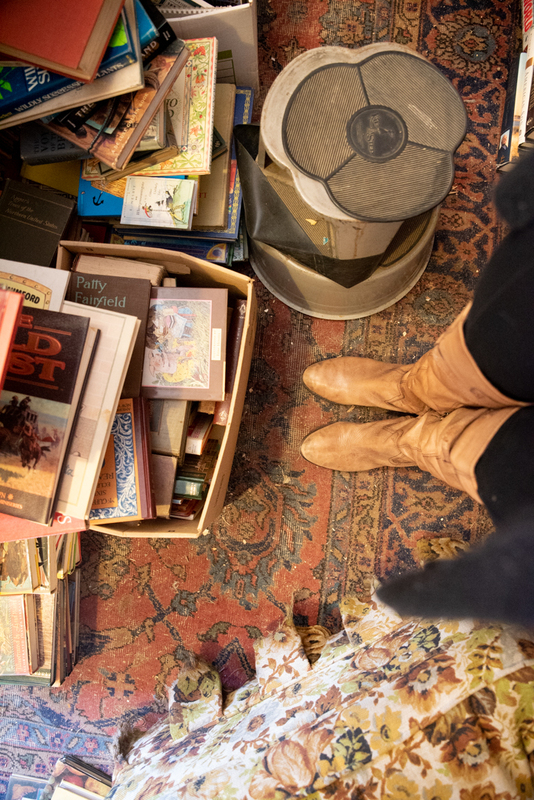 My fingers were numb with cold as I looked through stacks of books. I wandered through the whole place but kept coming back to the children’s section. Alcott, Barry, Dahl, Milne, Potter, dePaola, L’Engle. The best children’s book authors care for the wonder of a child’s mind. They tenderly craft beauty bound in a book on paper pages meant to set the mind and heart of a child aloft. Being in the presence of stacks of artful words and pictures with people who are dear to me reminded me that I have so very much to be thankful for. God brought us so very far from our friends and family in the west. We have learned to consider our friends who love Christ and consequently love us to be our family. Doing life with them has been a lesson in the body of Christ and the kingdom of heaven. 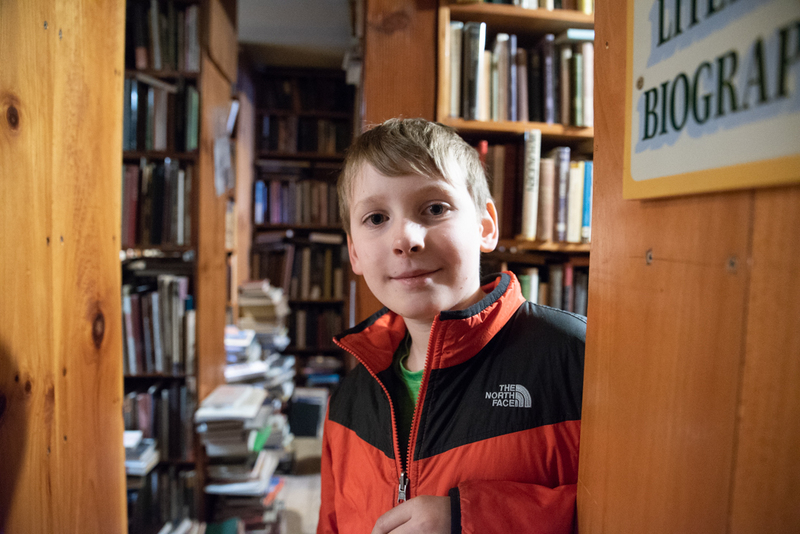 If you’ve known me for any amount of time you probably know that I have this pet dream of owning a children’s bookstore. Some times I take that little dream out of my poor ad dled mom brain. I pet it and hold it up to the light to admire how pretty it is. Then I tuck it back away and get back to folding the laundry. The moral of this story: old books smell nice. Also, go to Dog Ear Book Barn in Hoosick, New York.